Kaidō (開道 to make way, open the road) As our international thoroughways endure from threats to be blocked, the effort and needs of exporting and sharing cultural knowledge and expression seem much necessary as ever. The current structure of arts festivals and fairs continue to be engaging platforms to share this understanding of diversity in the arts. 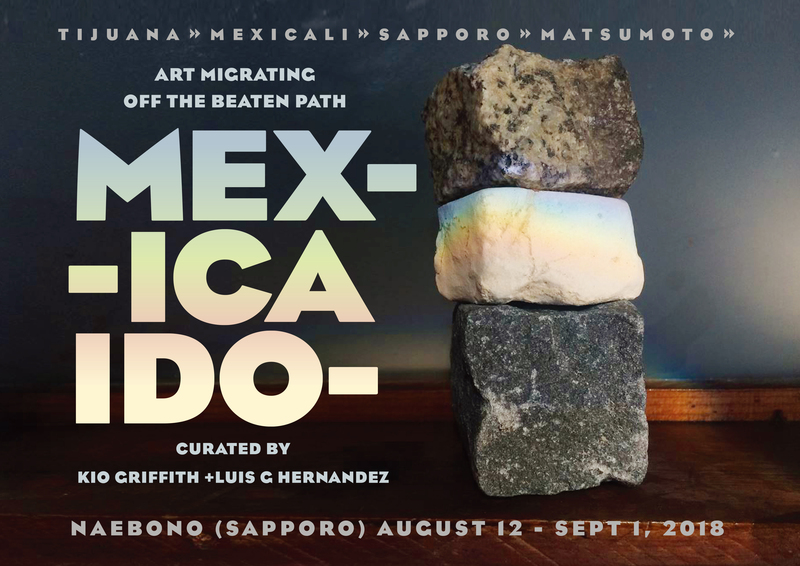 This traveling exhibit, “Mexicaido” organized by Kio Griffith and Luis Hernandez explores the limits of where an exhibition can travel off the beaten path and into the rural cities, where these connections are rare. The selected artists come from either side of the Mexican-U.S. border and address the livelihood of coexisting in this region. © naebono all rights reserved.